Our customers are our best judges. It is their opinion what matters, since we make our wines especially for them. If they like our wines, our mission is accomplished. However, we also feel great when praise and renown come by wine experts. The annual publication by the British Master of Wine, where Familia Martínez Bujanda has had an uninterrupted presence, highlights the sustained effort we put into making Rioja wines with a distinct character. At Finca Valpiedra, the only bodega in La Rioja that is member of the Grandes Pagos de España association, we make terroir-driven wines in an unparalleled natural environment with a peculiar microclimate and alluvial soil, which deliver superb conditions for grapevine cultivation. 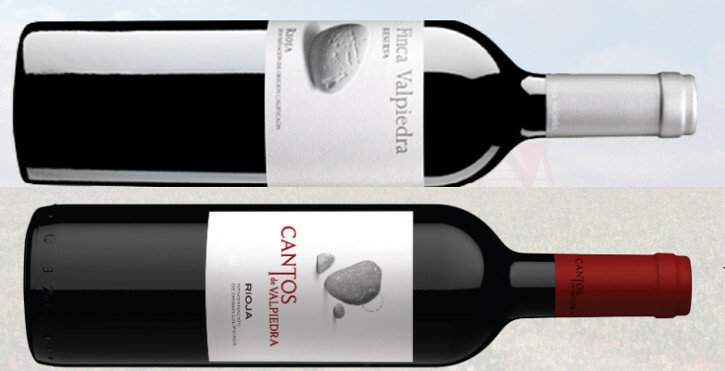 Two wines from Finca Valpiedra were given high scores: Finca Valpiedra Reserva 2012 got 95 points and Cantos de Valpiedra 2015, 92. The wines made at Viña Bujanda were also given excellent scores and reviews: Viña Bujanda Gran Reserva 2011, a 92-point red, and Viña Bujanda Reserva 2013, which got 90 points. In addition to Tim Atkin, the quality of our wines also pleased the prestigious specialist magazine Wine Spectator, which rated Viña Bujanda Crianza 2015 as a 90-point wine and placed it among the best 100 wines in the world. ‘Supple and graceful,’ the American magazine adds. Also, at the Rioja Masters 2018, the annual event organised by The Drinks Business, a prestigious British magazine focusing on wine, Finca Valpiedra Reserva 2011 was awarded with the bronze medal. Good reviews keep our eyes set on our primary goal: to make characterful wines, attached to the terroir. Entre Vinos y Pagos is the blog where we show you the wine culture and our philosophy of elegant wines. Wines from our different plots in Finca Valpiedra, Finca Antigua, Finca Montepedroso, Viña Bujanda and Cosecheros y Criadores.